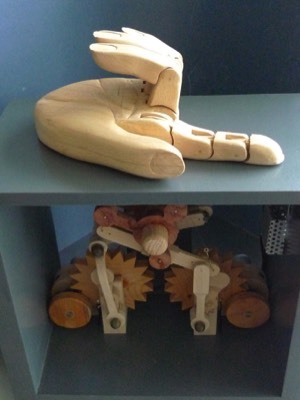 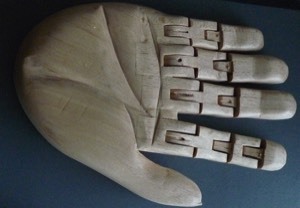 Animatronic hand carved from beech wood. 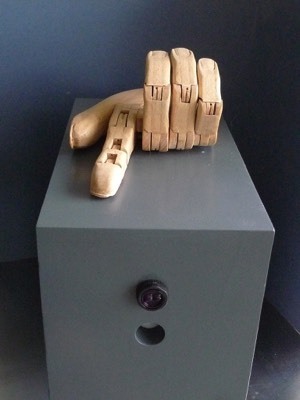 Hand detects when someone is in the vicinity and the index finger beckons them. 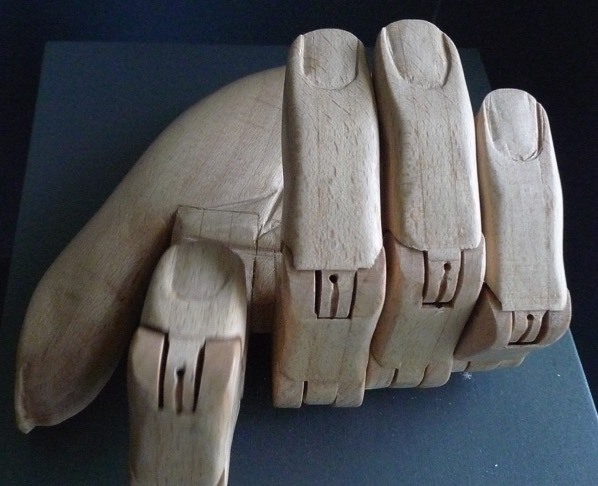 When they are close enough the hand opens revealing whatever has been placed in the palm. 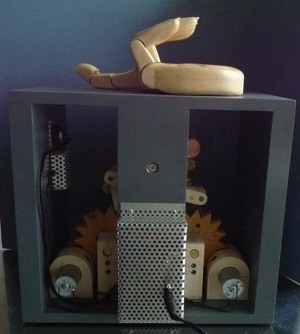 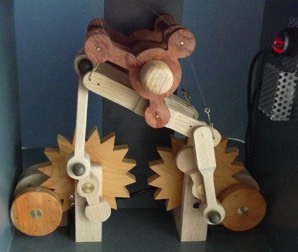 The mechanism is constructed from various hardwoods including handmade yew plywood for the gears. 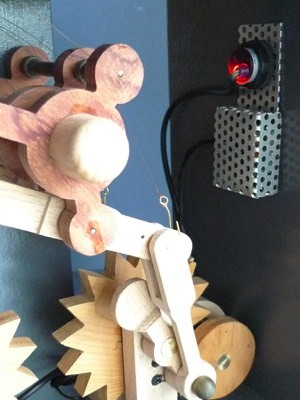 The piece is controlled by an Arduino micro controller. 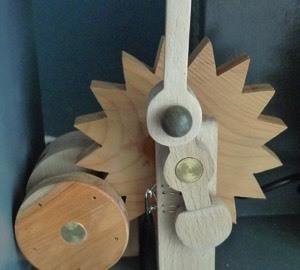 Mechanism is made from beech wood and other hardwood with home made yew ply for the gears. 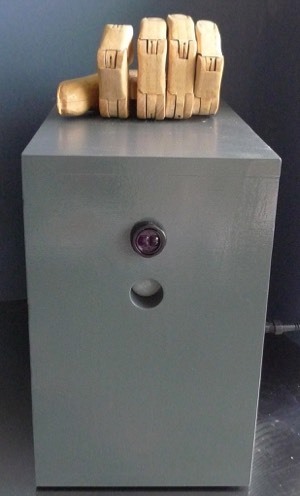 Rear view showing micro controller box made from perforated aluminium.